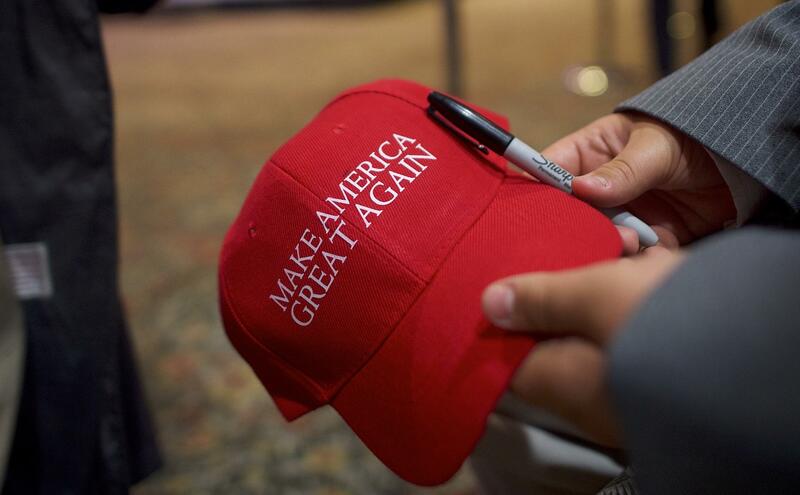 NEW YORK -- New York City police say two men mugged a Danish tourist at knifepoint for his Make America Great Again hat. Jannich Andersen, 18, was entering a Manhattan subway station on Thursday when a stranger confronted him over the hat. "He asked if I knew what it symbolized, and said I couldn't leave with the hat," Andersen told the New York Post. "He was clearly offended." The man plucked the hat off Andersen's head. Andersen said he grabbed it back and the man followed him and snatched it again. While Andersen and the hat thief struggled, the robber's accomplice brandished a knife. Andersen said he let go of the hat then. "Make America Great Again" was Republican President Trump's campaign slogan. Andersen said he bought the bright red hat for his father "as a joke."